C. 15684 - 2 br+den (could be made into 3rd bedroom) 2 ba unit is truly a gem. Enjoy the gulf shore lifestyle & beautiful views of venetian village bay & partial view of the gulf from screened lanai w/ hurricane shutters. Kitchen has soft-close wooden cabinets, granite, refrigerator/freezer & separate ice maker. Crown moldings & diagonally placed 24 travertine flooring add to the elegance, french doors lead to well-appointed master suite w/ plantation shutters & gorgeous master suite bathroom. Features include storage room, closet space & spacious laundry room. The majestic double atrium monaco beach club is completely renovated & regarded as the best value on the beach! The award winning, friendly staff are a huge benefit to living here! Monaco beach club amenities feature 24 hour security, large social room, fully equipped fitness center, tennis courts, resort-style pool & spa w/ barbecue grills overlooking lush tropical landscape & beach on the gulf of mexico. Private access to park shore's white sandy beaches & jogging path. The friendly concierge service makes living easy so you can enjoy the neapolitan lifestyle. Gourmet restaurants, boutique shops, outstanding location. 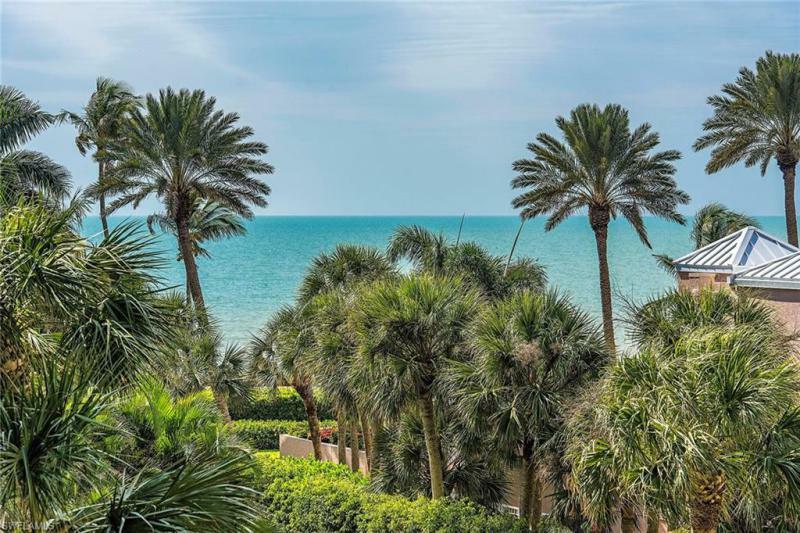 Beachfront residence is in a prime location with spectacular venetian bay and gulf views! 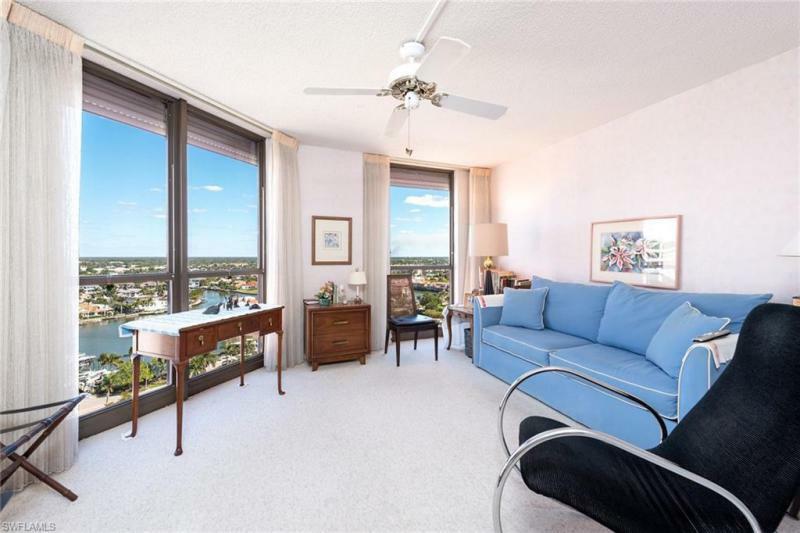 This 18th floor location has city views, night lights, sunrises and sunsets and lots of light throughout the day. An ideal location in monaco beach club, this 2 br/2 ba with 2000 sq. Ft. Of a/c area is ready to be decorated to your taste. Panoramic views can be enjoyed from the screened balconies that are accessible from every room. Electric hurricane rated shutters on the restored balconies, an a/c storage closet within the residence, bidet in master bath, breakfast area, foyer closet and split bedroom plan. Monaco continues to be a beautifully renovated building including the lovely pool area with spa, grill area and beach access. Too many amenities to mention! A first class community with 24 hour gated security. Boat docks available for lease or purchase. Short stroll to the village on venetian bay for fine and casual dining. C. 14971 - on park shore beach for under $900,000! This treehouse has a peek-a-boo view of the gulf and tons of room for you to enjoy. New impact windows and doors, new a/c and appliances. Walk to shops and restaurants at venetian village and enjoy the beautiful beach with pool, spa and cabana. Allegro is being updated as we speak with a new exercise room, renovated entry fountain and spa. Don't let this beach retreat get away from you with its convenient location and easy entry to the beautiful park shore beach. Amazing views of venetian bay from this 3rd floor 3br 3ba condo, which includes a private boat dock with access to the gulf of mexico! Imagine soaking in unobstructed water views from every room through the expansive windows. Each morning take a short walk to venetian village for morning coffee then a long walk on the beach from the private park shore beach area. Observe sunset every evening surrounded by lush tropical landscaping lounging by the pool overlooking the bay. This unit has updated bathrooms, granite, tile and a beautiful screened lanai with hurricane shutters. One of the few pet friendly buildings that will allow one dog or cat of any size! Dont miss this opportunity to own a piece of paradise. Call for your private tour today!